He operates a stable of just seven or eight horses at Parx Racing, but 44-year-old trainer Luis Carvajal Jr. is currently on his way to contest the biggest race of his career. Imperial Hint, a 4-year-old son of Imperialism, is taking his connections on the ride of a lifetime as they travel to Del Mar for the Breeders' Cup Sprint. Undefeated through four starts in 2017, Imperial Hint gave Carvajal and owner Raymond Mamone their first graded stakes victory in the G3 General George at Laurel Park in February. That led to an invitation to contest the Dubai Golden Shaheen, but the colt had a fever after the overseas flight and had to miss the race. Carvajal kept him there for a couple months, training him easily, and by the time the pair returned to the United States Imperial Hint was back in perfect health. On July 1, Imperial Hint won the “Win and You're In” Smile Sprint at Gulfstream by 4 ¾ lengths, and in September he took the listed Donald LeVine Memorial at Parx by 6 ¾ lengths “under wraps,” according to the Equibase chart. He completed six furlongs in 1:07.55 in the LeVine, and has earned triple-digit Beyer figures in his last five consecutive starts. The only issue has been Imperial Hint's diminutive size; even today, the colt stands only 15 hands tall. A native of Chile, Carvajal first thought he might follow his father into the saddle as a jockey. Luis Carvajal Sr. won approximately a thousand races in Chile, a significant number considering the limited racing opportunities. Carvajal Jr. quickly grew too tall for those aspirations but had already fallen in love with horse racing. Seeing his son's interest in the sport, in 1988 Carvajal Sr. decided to bring him to the United States, where the opportunities for a career would be much better than in Chile. Carvajal Jr. was just 15 years old at the time. 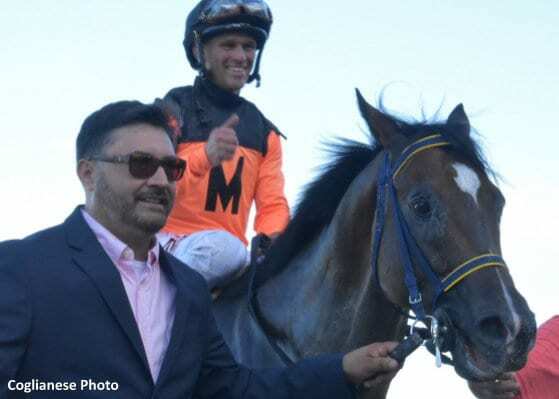 It would be a short-lived move for Carvajal Sr., who returned to Chile to ride after a few years. Carvajal Jr., however, found work at the track for trainer Angel Penna, Jr. He galloped horses in the mornings and quickly learned the ropes as an assistant trainer, soaking in all Penna had to teach him. Imperial Hint will be ridden in the TwinSpires Sprint by Hall of Fame jockey Javier Castellano and will leave the starting gate from post 10. With a pair of entrants in the Breeders' Cup for the first time, trainer Tim Glyshaw has gotten more media coverage in the past month than he has over the course of his entire career. His cell phone, which rang pretty consistently with calls from owners and jockey agents before Bucchero and Bullards Alley won their respective races at Keeneland and Woodbine, is now ringing nearly non-stop. On Wednesday, Glyshaw attended the Breeders' Cup Media Day, essentially a free-for-all in which trainers and jockeys are lined up to answer any and all questions from the media. A room full of cameras and microphones and tape recorders in front of eager faces, there's no question the media can be intimidating. 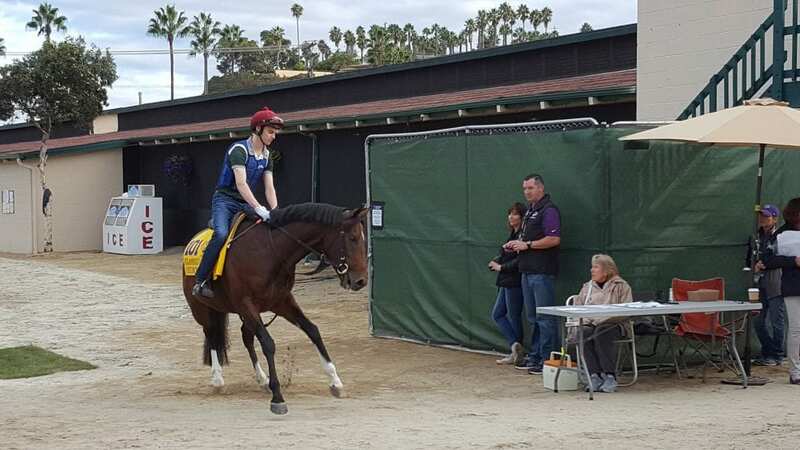 As a former high school teacher, Glyshaw isn't afraid to talk in front of an audience, but he admits there is certainly some pressure on him at the Breeders' Cup. Aidan O'Brien has a pair in the Classic? He just broke Bobby Frankel's record for Grade 1 wins in a single season, but trainer Aidan O'Brien isn't one to rest on his laurels. The Ballydoyle conditioner has never won the Breeders' Cup Classic, and he enters this weekend's World Championships with two contenders in the 1 ¼-mile dirt contest. From 14 entrants, O'Brien finished second in the Classic twice, in 2000 with Giant's Causeway and in 2008 with Henrythenavigator. In 2013, Declaration of War was a heart-wrenching third in the Classic, beaten just a head in a three-way photo for the win. Most recently Gleneagles ran eighth in the 2015 Classic. Rather than changing up the training methods, O'Brien has been working to pick out the right kind of horse for the Breeders' Cup Classic. This year's two entrants are led by Churchill, a 3-year-old son of Galileo who won both the English and Irish 2000 Guineas earlier this season. Churchill hasn't found the winner's circle since then, but he has finished well in three of his four most recent starts. Last out, the colt was third in the QEII at Ascot on Oct. 21, meaning he enters the Classic on just two weeks' rest. War Decree is O'Brien's other Classic entrant. The intriguing sophomore son of War Front last raced over the synthetic surface at Dundalk, winning the Group 3 Koffy Diamond Stakes by an authoritative 2 ¼ lengths. After a season of 26 Group One wins (so far), O'Brien remains competitive. These days, the Grade 1 Pacific Classic has a reputation for great performances, with recent winners including California Chrome, Beholder, Shared Belief, and Game On Dude. But every race must start somewhere. In August 1991, the race for top 3-year-old was far from clear cut, with Kentucky Derby winner Strike the Gold and Preakness/Belmont winner Hansel putting vying for the title. While the two were building their 3-year-old resumes, Owner/breeder John Mabee homebred Best Pal was experiencing a dry spell. After racking up six wins in his first eight starts, including three at Del Mar, the gelding had gone winless for seven months. He had earned his keep, with a third in the G2 San Rafael and seconds in the G1 Santa Anita Derby and Kentucky Derby, but it wasn't until the G2 Swaps in July that he found the finish line first once more. Mabee was chairman of Del Mar's board and it was he who pushed for the creation of the $1 million Pacific Classic. The Mabees and their Golden Eagle Farm had been fixtures on the California racing scene for two decades. “We just wanted to run a horse in this race that wouldn't disgrace us,” Mabee told the Los Angeles Times. “I thought he was better coming into this race than the press gave him credit for, but maybe this was just owner prejudice. Best Pal was the lone 3-year-old facing older horses in the Pacific Classic, and on top of that, had a hiccup in his training for the race. Two weeks beforehand, jockey Pat Valenzuela dropped a stirrup during a workout and lost control of the horse, who whipped around rivals on the track like a Ferrari on the California freeway. He ended up clocking :57 2/5 for five furlongs, which was not what trainer Gary Jones had in mind. The hometown hero still had plenty of run when the field turned for home and drew away for a one-length victory. Del Mar closed its 1991 season with the best daily average handle in the nation (over $7.8 million) and daily average attendance (37,072). At the end of the summer, management tore down the old grandstand and set about building a new one, which would open in 1993. The Pacific Classic was just the beginning for Mabee and Best Pal. The son of Habitony (IRE) would go on to collect 17 stakes wins in total, $5.6 million in earnings, and three California Horse of the Year titles. He was inducted into the National Museum of Racing and Hall of Fame in 2010. This entry was posted in Breeders' Cup, Breeders' Cup Photo Blog, NL List and tagged aidan o'brien, Best Pal, Breeders' Cup, breeders' cup classic, Breeders' Cup Countdown, breeders' cup sprint, churchill, imperial hint, Javier Castellano, luis carvajal, Tim Glyshaw by Chelsea Hackbarth. Bookmark the permalink.